Xiaomi has planned a huge event on September 11th where it is going to launch its most awaited smartphone of this year, the Mi Mix 2. 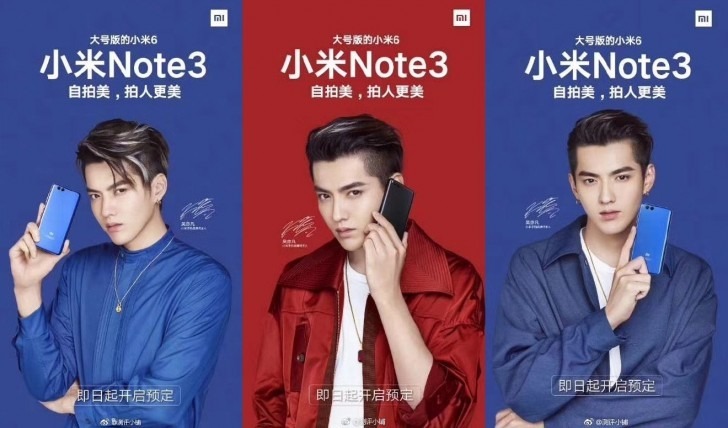 Along with that, the company will also announce the Xiaomi Mi Note 3 which looks similar to the Mi6 if we look at the teasers of the phone. 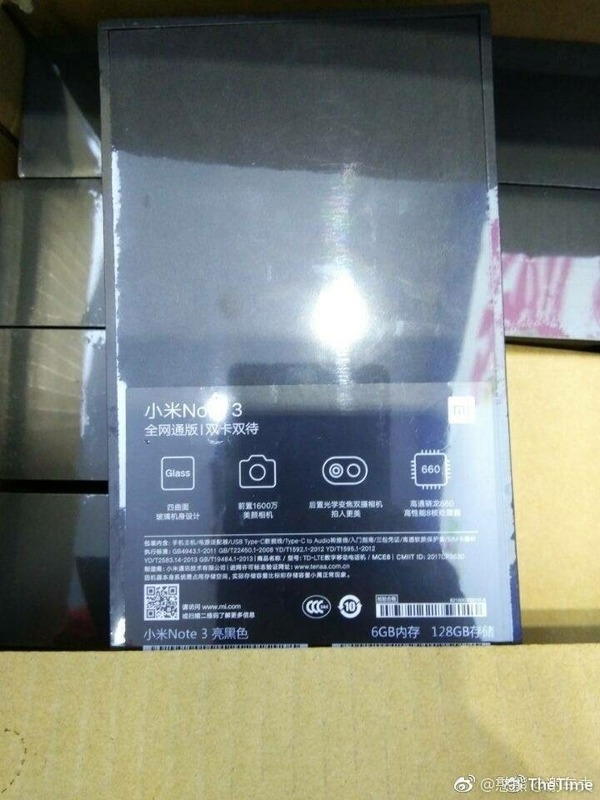 Anyways, the specifications of the phone are leaking for quite some time, and today, the images of the retail box of the phone leaked that reveal some of the specifications and also confirm the previous ones. 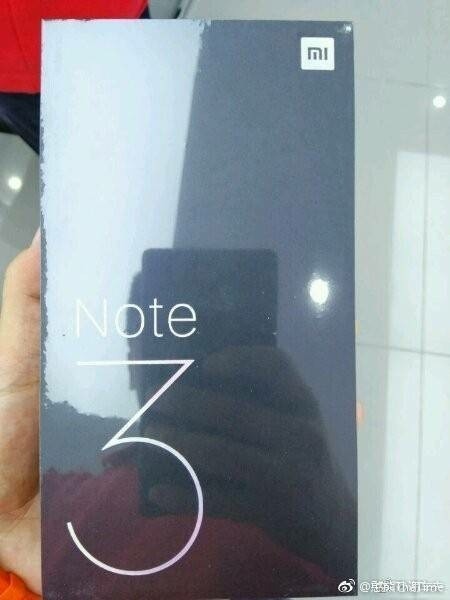 So, the retail box shows ‘Note 3’ written on the front, and there is also the Mi logo on the top right. Pretty clean retail box! The front doesn’t reveal any specs of the phone, but the back side does. So, the Xiaomi Mi Note 3 has got a dual rear camera setup and is powered by a Snapdragon 660 Processor. The retail box images are of the 6GB RAM variant with 128GB internal storage. Now, the text is in Chinese but when we tried translating it, it revealed things like Metal and Glass Design, 16MP front-facing camera, etc. Since the founder of Xiaomi, Lin Bin, has already revealed that this is a larger variant of the Mi6, we can surely expect the screen size to be 5.5-inch as Mi6 has a 5.15-inch display. The retail box doesn’t reveal all the specifications of the phone but just a couple of days are now left for the official announcement so, let’s see what Xiaomi has to offer with its Mi Note 3.